Finally available for digital downloading on both Amazon’s Kindle and Kindle for PC, and Barnes and Noble’s Nook as well as other e-readers. 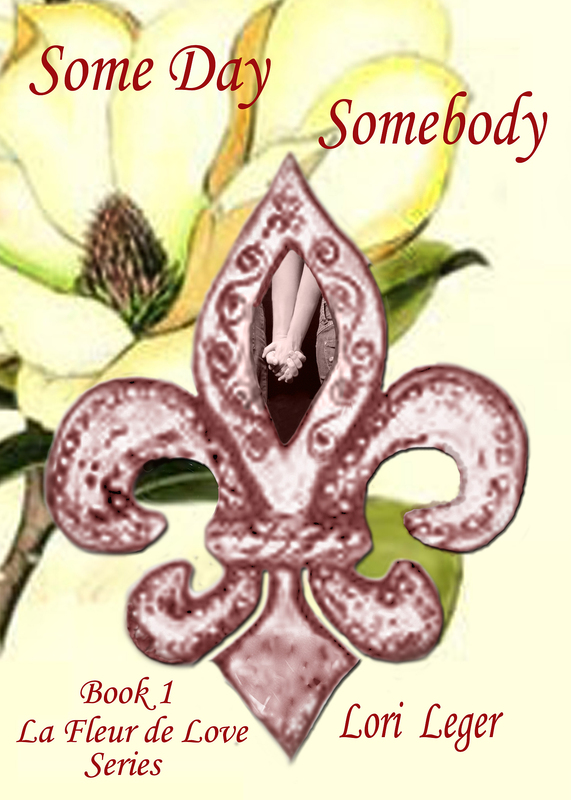 Some Day Somebody is Book 1 in my La Fleur de Love series. a man who helps her to realize it’s never too late for a new beginning. Carrie Jeansonne’s Plan for the rest of her life: Education (check), Career (check), Provide for her three teenagers (check), Divorce controlling, horn-dog of a husband (somewhat nasty, but progressing), and find some happiness (not so easy). The thirty-six year old mother wants to concentrate on her new drafting career in Road Design with no added complications – is that too much to ask? since his wife’s departure and his divorce. After clashing with his new, outspoken co-worker, the surveyor can’t help but be drawn to this brassy, sassy lady with her take no prisoner attitude. something dark and disturbing. As Carrie realizes she may be dealing with more than her disgruntled ex, she struggles to overcome the obstacles threatening her happiness as well as her life. I’m extremely proud of my Cajun heritage and try to inject the flavor and flair of southern Louisiana in the form of food, customs, dialect, or music. I would love the opportunity to introduce you to ‘my people’, the witty, wonderful, and sometimes wild characters of my imaginary world. I’m almost there, folks! I’ve got the final mark ups for Some Day Somebody, and just finished the re-write of Last First Kiss. I’m going to send it to my editor-in-chief/good friend/co-worker, Barbara, so she can work her magic and find all those typos that seem to get by me and several other readers. While I’m waiting for those, I and my cover artist/photographer/friend/co-worker, Joan, will begin working on the cover for the first two books in my series. Lastly, I’ll convert the books to e-reader format for Amazon’s Kindle (either the reader or the free reader for your PC, which is what I have) and upload my books to Amazon. Once I get the kinks worked out of that, I’ll tackle the PubIt formatting for Barnes and Noble’s Nook reader, then go on to other formats. I do plan on having print books eventually, but I’m going to concentrate on e-books for the first few months. So, bear with me! I’m going to use Facebook, twitter, blogs, and any other form of Social Networking to get the word out, but I can always use the help of friends, fans, and family to get the word out. I’m constantly striving to get my writing cleaner, sharper, tighter, and more pleasing to the reader. I pray that you all love reading about my characters as much as I love writing about them and the fictional world I’ve created. As you may have heard, writing is just a socially acceptable form of schizophrenia. Meanwhile, I’ll keep you posted on when the books will become available. You keep checking, and I’ll keep blogging! Okay, last year it was Sherrilyn Kenyon…who’s it going to be this year? Louisiana’s own Sabrina Jefferies will be appearing at Heart of Louisiana RWA’s Reader’s Luncheon this year at the fabulous Jubin’s of Baton Rouge. Our registration fee is already paid and the first Saturday in November is marked on the calendar. I love this luncheon…not only did we meet some wonderful people last year, but it gives us a chance to see our friends again. Like the incredibly talented ladies, Farrah Rochon and Dawn Chartier, whose tables will be graced by Trish and I, as well as another writer/drafter friend, Debbie Dalme. I’ve met a lot of the authors who’ll be there for book signings, i.e. Sabrina Jefferies, Deborah LeBlanc, Barbara Colley, and Diana Rowland. Sabrina and her friend, Claudia Dain, were the tumultuous twosome at RWA Nationals in Orlando last year…where one was, so was the other. They were both fabulous and friendly ladies who always stopped to ask how Trish and I were doing. I doubt if she’ll remember meeting me, but it’ll be nice to see Sabrina again. Deborah LeBlanc will be the emcee this year, and I’m very much looking forward to seeing her also. I met her at the luncheon for the first time last year and have bumped into her at a few functions since then. I think I’ve already bought everything she’s written, so I hope she’s published something new since I last saw her. Late Summer or Fall of 2011!